The Massachusetts Department of Public Utilities has ordered Columbia Gas to impose a moratorium on all work other than emergency and compliance work across its entire territory at least until Dec. 1. 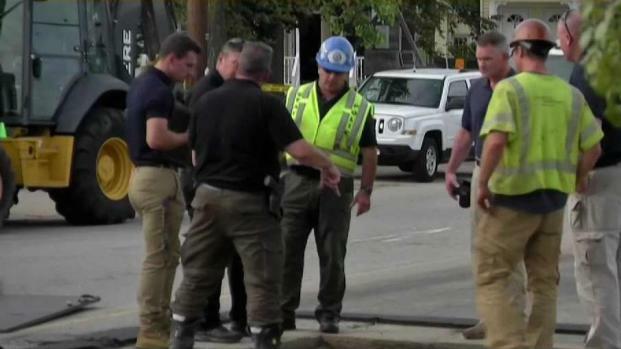 The move comes one day after the National Transportation Safety Board issued its preliminary report on the Sept. 13 gas explosions in the Merrimack Valley region of Massachusetts. "Following the National Transportation Safety Board’s preliminary report and as a result of ongoing inspections of Columbia Gas’s gas system, the Department of Public Utilities, under its regulatory authority over the gas distribution system, has ordered Columbia Gas to impose a moratorium on all work, except for emergency and compliance work, across the company’s entire service territory until at least December 1, 2018," spokesman Peter Lorenz said Friday. He said the order will not impede the emergency restoration services in the Merrimack Valley and allows the Department of Public Utilities to approve additional work upon request. He also announced that the department is also in the process of hiring an independent evaluator to assess the safety of pipeline infrastructure throughout Massachusetts, as well as company policies and practices. The preliminary report released Thursday confirmed that overpressurized natural gas lines were the source of the deadly explosions and fires in Lawrence, Andover and North Andover, and details the chain of events that led to the disaster, which killed one person, injured 25 others and damaged 131 structures. The report said gas company workers failed to account for the location of critical gas pressure sensors in Lawrence, which caused high-pressure gas to flood a low-pressure distribution system at excessive levels. It also said that Columbia Gas' monitoring center in Ohio received two high-pressure alarms for the South Lawrence gas pressure system at 4:04 and 4:05 p.m., more than five minutes before Lawrence emergency services received the first 911 call from a resident and almost a full 30 minutes before Columbia workers in Massachusetts were able to shut down the regulator causing the problem. Prior to the over-pressurization event, the report says a Columbia Gas-contracted work crew was performing a pipe replacement project at the intersection of South Union and Salem streets in Lawrence. The crew was working on a tie-in project of a new plastic distribution main and the abandonment of a cast-iron distribution main. 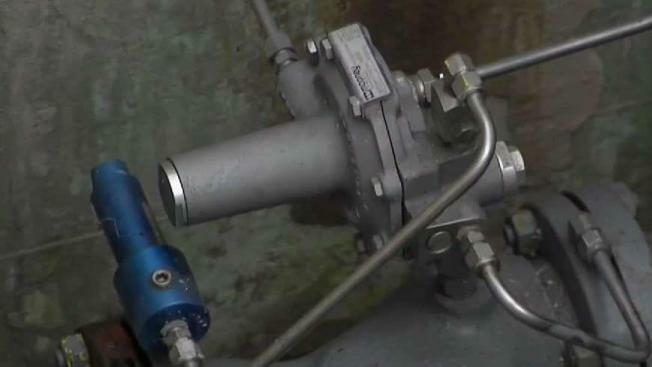 Once the contractor disconnected the distribution main that was going to be abandoned, the section containing the regulator sensing lines used to detect and control pressure began losing pressure. As the pressure dropped, the regulators responded by opening further, increasing pressure in the distribution system, the report says. Since the regulators no longer sensed system pressure, they fully opened, allowing the full flow of high-pressure gas to be released into the distribution system supplying the neighborhood. According to the report, Columbia Gas developed the work package, which did not account for the relocation of the sensing lines or require their relocation to make sure the regulators were sensing actual system pressure. The NTSB said its investigation into the explosions is ongoing. U.S. Sens. Ed Markey and Elizabeth Warren are planning to hold a congressional hearing in November in the Merrimack Valley in an effort to get answers to the many questions that remain about the disaster. Columbia Gas has deployed thousands of workers to replace 45 miles of aging pipeline and gradually restore service. The company says all customers should have gas by Nov. 19. Joe Hamrock, president of NiSource, Columbia Gas' parent company, said the company can't comment on the incident's cause until the investigation is complete.